CHICAGO (AP) — It started with Josh Harrison’s crisp single. It ended with Jose Osuna’s fly ball to center field. In between, it was quite a display by the Pittsburgh Pirates. 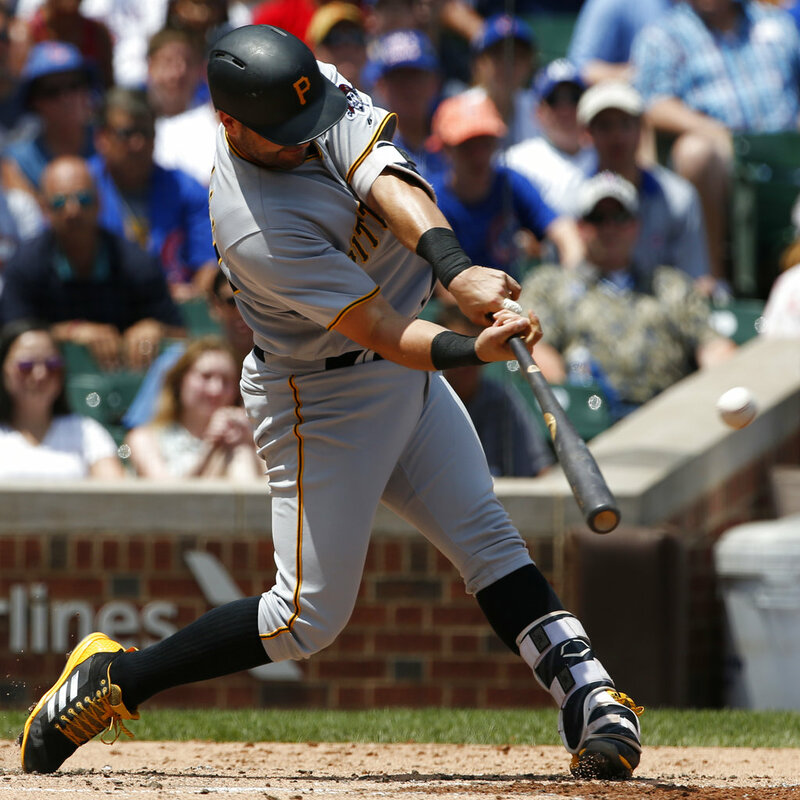 Pittsburgh scored 10 runs in the first inning of its 14-3 victory against the Chicago Cubs on Sunday, chasing Jon Lester in the shortest start of his career. Francisco Cervelli and Andrew McCutchen capped the scoring with Pittsburgh’s first pair of consecutive homers since May 24 at Atlanta. Cervelli connected for his third career grand slam before McCutchen belted a drive to left-center for his 17th homer. Cervelli’s fourth homer of the season was Pittsburgh’s first grand slam of the year. The Pirates were the NL’s only team without a grand slam. “I’ve been trying to feel more comfortable at the plate,” said Cervelli, who matched a career high with five RBIs. Pittsburgh sent 15 batters to the plate in its highest-scoring inning since it got 10 in the seventh against Colorado on May 17, 2009. It was the first time it scored at least 10 in the first inning since June 8, 1989, against Philadelphia. It was the Pirates’ highest-scoring game of the season. Lester left after McCutchen’s two-out homer. He was charged with four earned runs and six hits. Third baseman Kris Bryant and catcher Willson Contreras each committed an error in the inning.